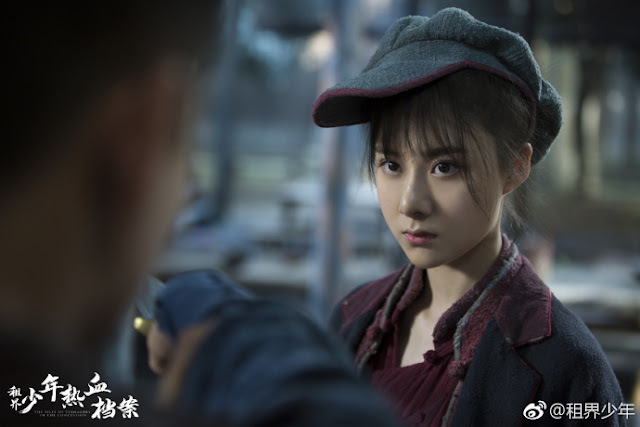 The Files of Teenagers in the Concession 租界少年热血档案 unveils Huang Zitao as Wu Qian in what appears to be another nationalistic drama about fighting for one's beliefs and ideals. 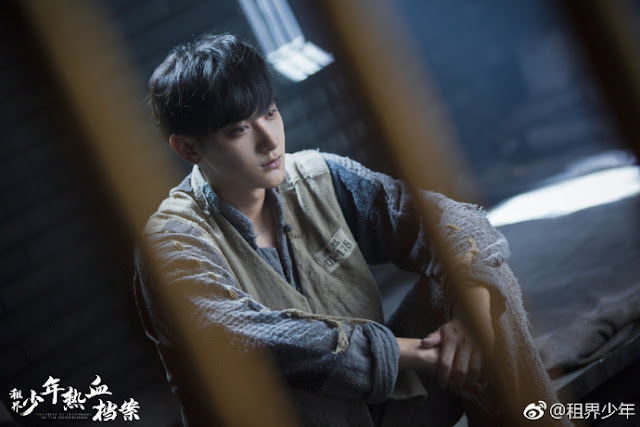 It sounds quite similar to Tao's last drama Yan Shi Fan, but also perfect for an actor like him who is well-versed in martial arts. I associate Tao with action more than acting, but his eyes are so expressive and full of emotion in the first photo. It makes me curious as to how he will be winning over the hurdles along his way. Sophie Zhang Xueying as the leading lady in her blue suit and long hair looks elegant and full of confidence. 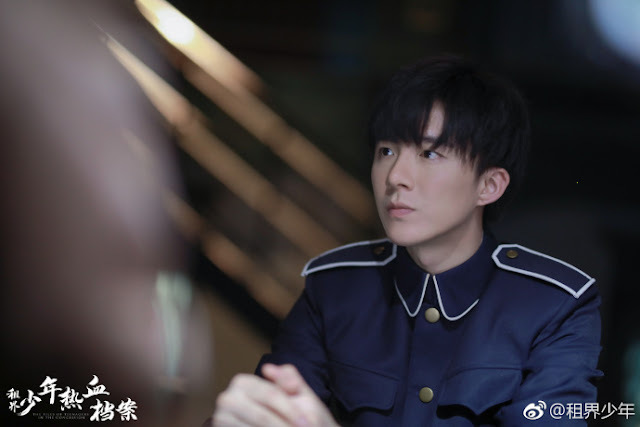 Liu Yuning as Wei Chengfeng looks cute with his blue military uniform. His hands are tightly clasped together as he looks at someone. What could be making him so tense? 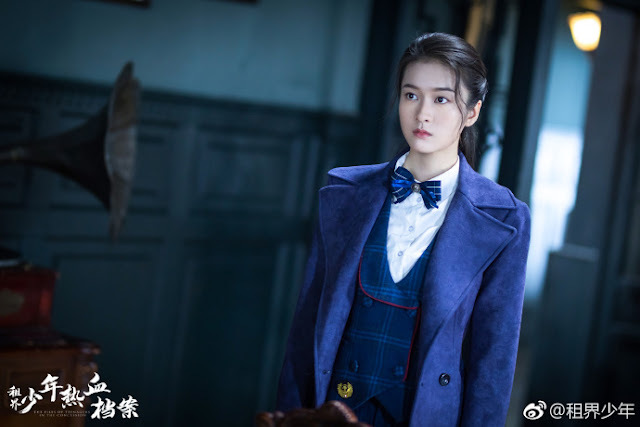 Cao Xiyue as Wu Xiaoxiao cross dresses as a boy as she stares intently at someone with eyes that can pierce through a person. Wang Jinsong as Shang Wei sits calmly. Based on the veteran actor's past works, he will most likely be playing another layered character that is full of secrets.